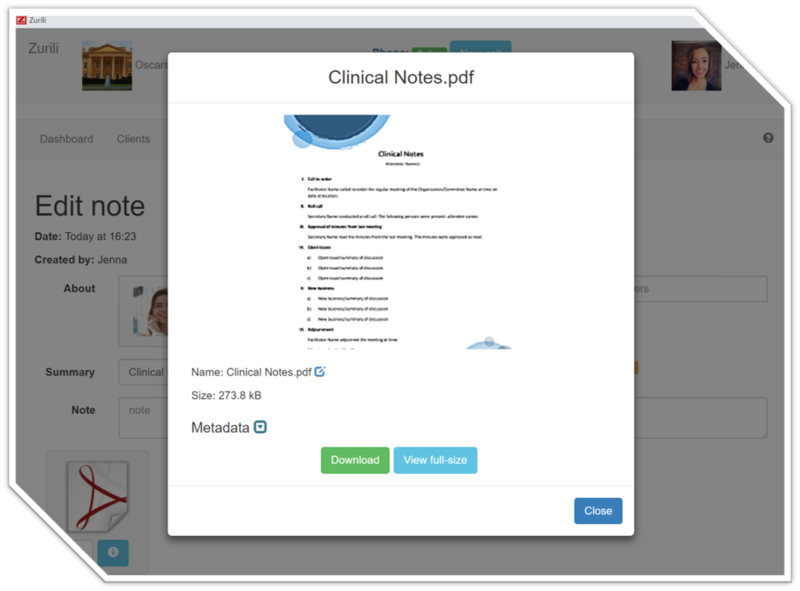 You can store any kind of documents in Zurili attached to a note on a client record. Word documents, Excel spreadsheets, PDF and anything else. PDF documents have an instant preview feature so you can see the document cover page without waiting for the full document to download. This speeds up access to documents dramatically even on slow networks. As always, all your documents are secured using the most up-to-date open security protocols. Document storage in Zurili is FREE!